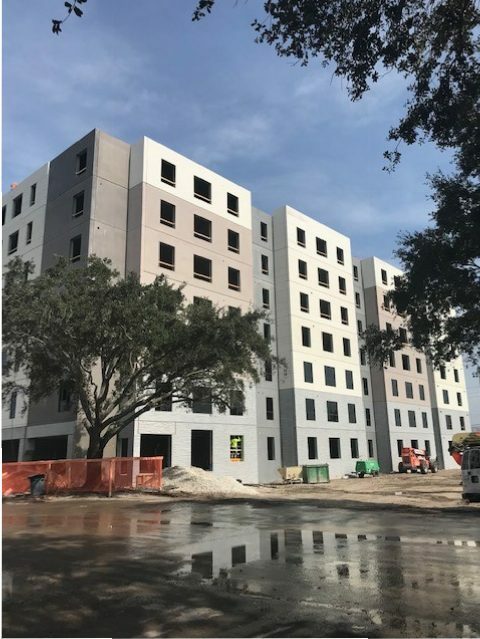 TSC Southeast had the pleasure to work with Nova Southeastern University‘s new housing project. Throughout the project, we were tasked with installation of safety solutions to ensure that the project was following schedule and OSHA compliance. TSC Southeast was at every step of the process. Throughout construction, we installed, maintained, and removed all materials from the site in compliance to OSHA standards and regulations. Our expertise at TSC Southeast expands beyond installation and maintenance of safety solutions on the jobsite. If the project demands it, we will meet the objective head on and provide additional services for the project. We at TSC Southeast envision a construction industry that continues to follow safety standards and lowering accidents on the job to absolute zero. It is our mission to guide construction companies on safe practices, installing safety equipment on the site, and instilling the mindset of always following safety practices at the workplace and beyond. For more information regarding TSC Southeast and our work, contact us today.